"The tower guard shall take up the call!" If we look at some of the other Tank heroes and their stats at level 10 Glorfindel is underwhelming to say the least. Level 1: Mount/Dismount - Left click to switch between mounted and on foot. Level 3: Wind Rider (mounted only) - Glorfindel's courage and strength inspire his mount to a great effort, giving Glorfindel +40% speed and +50% armor for a short time. He is unable to trample enemy units for the duration of the ability. Level 3: Blade of Purity (on foot only) - Glorfindel calls upon his inner strength and purity, causing a brilliant light to emanate from him which gives him a small area of effect attack. It also causes him to receive only half damage from enemy abilities. Only available on foot. Not available during Collect Starlight. Level 5: Collect Starlight - Glorfindel, as a High Elf Lord, is able to enter the Shadow World and surround himself with pure light. For 60 seconds Glorfindel is filled with pure light which slowly restores his hit points and partially repulses melee damage dealt by enemies. The collected starlight can be released. If the Starlight is not released within 60 seconds it will have no effect. Not available during Blade of Purity. Level 10: Light of Hope - Glorfindel becomes illuminated in his wrath, blazing brilliantly and terrifying all nearby enemies who dare raise arms against him. For 60 seconds enemy units near Glorfindel become continuously paralyzed. Boromir he gains 30% armour as a passive and 100% armour from his Brave Resistance. Thorin can make himself invulnerable to all damage for a for 10 seconds which is a great tanky buff. Thranduil abilites are another example of how a tank should be as he can take up to 10 hits every 60seconds compared to glorfindels 1 every 30seconds and then Thranduil can use his shield wall which allows thranduil to gain 50% damage resistance to ranged attacks. also if he is given the gifts of lorien he gains 15% armour. You would think that Glorfindel being an elf who slayed a Balrog and was brought back to middle earth and given almost maiar like powers would be able to tank more than just 1 hit or ability every 30seconds, and that he would have more health and armour to fit into the role of a tank as I have seen Glorfindel be almost killed by 1 drummer troll. Firstly I think Glorfindels health pool should be upped to 8211 at level 10 so that he can be up to par with the other tank heroes and thats about all for the stat changes. For his ability changes Brilliant Illumination needs to be completely changed I feel that it should be changed to about 4 hits per 30 seconds instead this would make it feel like much more of a tanky ability. Another Idea put forth by Kryptik would be to make it so that it only blocks abilities instead of attacks and abilities this would allow him to be more tanky against heroes as in its current state all it takes is one melee hit and then a strong ability can be used which is why the power needs a complete rework. Something else that could work is perhaps if you change his stance it affects what that ability does. Perhaps defensive stance could give him protection to abilities his normal stance protection from attacks and his aggressive stance just increases damage and bulls the effect of the passive. "JUST AN IDEA NOT SOMETHING THAT NEEDS CHANGING"
Something else that could be done to entice a risk/reward idea is with collect starlight, if you have it so that for the duration of 60seconds in the first 30 seconds everything stays the same but after 30 he gains armour up to 30% but the power and radius of the damage caused by the power is reduced every 10seconds after 30. Im not to sure about this one but its just an idea that people may like. I feel these would help him stand out more aswell as help him to look like some of the art of Glorfindel online. "I would have followed you my brother my captain my king"
I'm actually mostly fine with Glorfindel. Getting 50% more armor while Wind Rider is active, as well as being unable to trample, reducing his risk of getting killed by Pikes, makes him really tank. And Collect Starlight effect of slowly healing Glorfindel makes him the only Tank that can heal himself besides Karsh. Though, I do agree that his health should be increased to 5500 (as no one on Imladris has that amount of health yet), and that Brilliant Illumination is a bit underwhelming right now, but other then that, I think he fits his role rather well. Again, in terms of balance, I think giving him Tank health and improving/changing Brilliant Illumination are enough for him. I personally think that changing Collect Starlight is not really needed. Not that your idea is bad, but it just doesn't seem like it is a change that Glorfindel needs right now. I think the same, Glorfindel is just bad at the moment compared to the other Tanks. His golden armour is something I don't really like either, and I agree in changing it too! I'm fine with his abilities, though, except the passive one. I think that the thing you aren't taking into account, provided that the ability is working correctly, is that Brilliant Illumination can block ABILITIES. Now think of the brutal sniper powers many heroes have, Spear Throw from Eowyn, Slayer Axe Throw from Gimli, Blademaster Knife Throw from Aragorn, any crippling ability from all the heroes that have those, Thorin IIIs ridiculous single target damage attack. All of those can be blocked in full by this ability. That is the point of it, increasing it to 4 abilities per 30 seconds would make him essentially immune to abilities. What I would rather see is that the ATTACK portion is removed, and have this ability purely there to block other abilities. That would make it extremely useful. That actually sounds like a good idea! It would be a buff, because basic attacks won't proc the ability any more. I see an opportunity here. I didn't actually mention it blocking abilities but that is another idea that could work but I still feel he needs a buff to his health more than anything, also the annoying thing about brilliant illumination at the moment is all it takes is for a hero to hit glorfindel once then use their damage powers on him which makes the whole effect completely redundant. Something else that could work is perhaps if you change his stance it affects what that ability does. Perhaps defensive stance could give him protection to abilities his normal stance protection from attacks and his aggressive stance just increases damage and bulls the effect of the passive. I believe Glorfindel needs a health buff at the least, and brilliant illumination needs a rework. Whether that is to increase the number of blocks or only allow ability blocking doesn't matter too much. I also am of the opinion that Glorfindel could do with a visual rework. I honestly dislike how he appears right now. Combined that with his lower health and lackluster abilities I rarely get him at all if ever save if I have excess cash to spare. Bring your pretty face to my axe! Buff health to Thranduil levels. Adjusting illumination so that it only blocks an ability once every 30 seconds will drastically add to his tankiness. The fact it can be triggered by a basic attack pretty much destroys any potential the move has. Blade of purity is fine as is given the aoe buff it grants. And as Haman already said the wind rider ability is perfect for escaping dire situations. Ikinari, Kingu wa, tourene darou oi! Agree with that, the fact that his ability can be wasted with an attack of a single Mordor Orc destroys its purpose. Just that change and the health buff would make him so much better. "For his ability changes Brilliant Illumination needs to be completely changed I feel that it should be changed to about 4 hits/abilites per 30 seconds instead this would make it feel like much more of a tanky ability." I would definitely agree with a health buff, I think this and making brilliant illumination block only abilities would make him perfect. Whoops my bad I phrased that wrong in my post :'D thanks for pointing it out. I'm with Kryptik on this one. I agree with Ross on all counts. Desperately needs more health, he died instantaneously while charging into Carn Dum Swordsmen (not pikes), not fitting for a tank. I agree that the Brilliant Illumination ability needs some rework. Further than limiting its effect to block enemy abilities, would it be overpowered to include preventing any hero/single target damage for one or two hits? 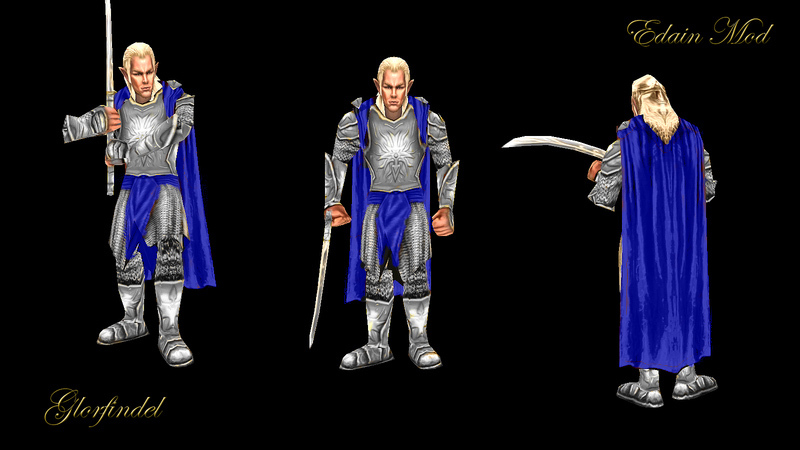 This would give the player some sort of reaction time when Glorfindel is being attacked: when you lose track of him in battle, and a hero-killer or Beorning approaches, Glorfindel will not lose health because of your tactical mistake. Well to be fair Carn Dum pikes are a bit different given that trampling them basically does you more harm than any other pikemen, since not only do you take the counter trample damage of running into pikes, but you then take a large portion of your trample damage on top of it due to their passive. But even so, I agree with what has been said. His health does need to be changed to be in line with other tanks, and I think his Level 7 should be changed so that it only blocks abilities, however to make it a bit fairer compared to similar abilities (Thranduil's 10 hit negation), perhaps it could be changed to block 2 abilities per minute, as opposed to 1 hit per 30 seconds (I understand this is more or less the same thing, however this allows him to act as an anti to hero killers in a shorter time frame, who tend to have two or more abilities to assist them against heroes). This looks great and fits to Glorfindel palantir picture and description when we recruit him . His current look is gold and red which i dislike sorry about this. Yep other tanks have 5500 health Glorfindel needs it too. Glorfindel defined deserves more attention! After all, he is one of the few who could resist evil (He could clearly oppose and defeat WK). Also, maybe it's worth it to add leadership ability - he was a military commander ??? Imladris. And maybe even worth it to make the second ring hero ?? ?